Hello again Buddyfighters, it’s finally December! 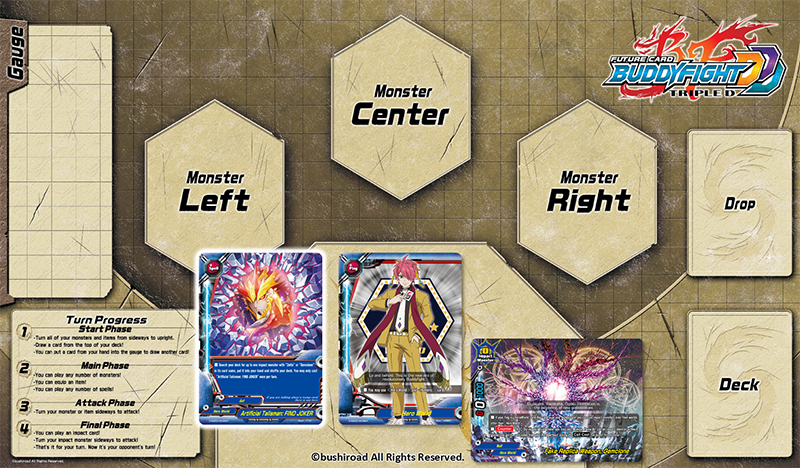 If you caught yesterday’s Buddyfight Buzz, you should’ve mastered how to maximize the potential of Gao’s Sun Dragon deck from the Golden Buddy Champion Box. In today’s article, we will be covering J Genesis’ revolutionary deck from the set. Without further ado, let’s get into it! Imitate the strongest with the Innovation of Zetta! The deck, Innovation of Zetta used by J Genesis is not your typical “Hero World” deck. With the ability of the Buddy Monster “Gemclone”, it enables you to use Impact Monsters from all Worlds! 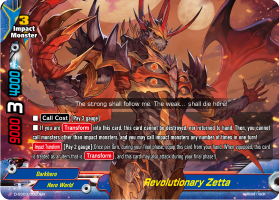 On top of that, when you “Impact Transform” into “Zetta“, you can call Impact Monsters as many times as you like in one turn! Draw your “Impact Transform” as soon as possible! When using J Genesis’ Hard Impact Tactics, it is most favorable to “Impact Transform” into “Zetta” as early as possible. If Zetta is not among your opening hand, you can use “Artificial Talisman: FIND JOKER” to put “Zetta” into your hand. Until you can “Impact Transform”, use cards like “Armor Talisman: ZERO DAMAGE” to reduce any damage taken! After “Zetta” transforms, you can call Impact Monsters as many times as you like. Start with Impact Monsters with no cost like “Flame Demon, Elytron” or “Water Demon, Kynoeides”, then move on to Impact Monsters with higher cost like “Fake the Sun, Bal Dragon” or “Fake Black, Abygale” afterwards! Chain Impact Monsters and attack relentlessly to win! Here are some key cards from J Genesis’ deck, Innovation of Zetta! With this revolutionary card as your Buddy Monster, if you are using a “Hero World” deck, you can play Impact Monsters from all other Worlds! On top of that, by paying 1 Gauge, you can call it out as an Impact Monster! After you “Impact Transform” this card, your ability to call normal Monsters is removed. In exchange, you get to call Impact Monsters as many times as you like! This card can’t be returned to your hand or destroyed, so go all out with your strongest aides! 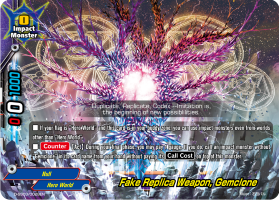 “Artificial Talisman: FIND JOKER” allows you to search for an Impact Monster with “Zetta” or “Gemclone” in its card name from your deck, and put it into your hand. With this Spell you can “Impact Transform” in your first turn! A very handy card indeed! 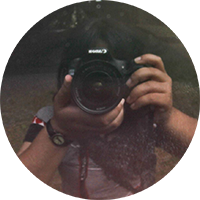 J Genesis’ Innovation of Zetta is revolutionary indeed! The Golden Buddy Champion Box releases tomorrow (Dec 2, 2016) so head to your local stores to get your hands on one! 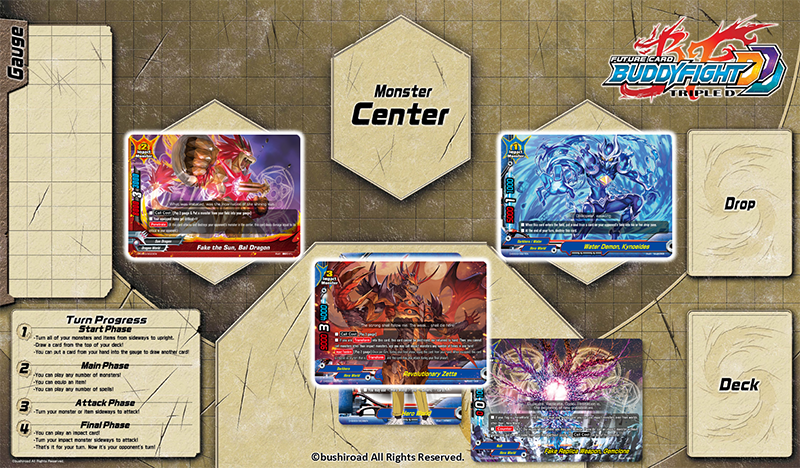 You can also gift it to your friends who’d love to start Buddyfighting with three strong ready-to-play decks! That’s all for today’s article. 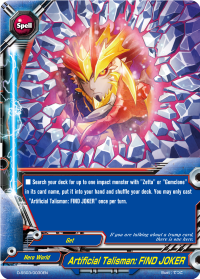 Do keep your eyes peeled for the next Buddyfight Buzz as we wrapped up The Golden Triad article series with a review of the most fearsome deck of all, Kyoya Gaen’s End of the World Dragon Zwei deck!